Anybody who has been shopping recently knows that the price of name-brand foods continues to increase rapidly. For many families, the standard staples of the home increase in price faster than those raises at work, making it difficult to make ends meet with each passing year. 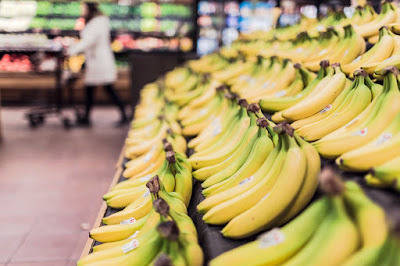 Fortunately, anybody who is willing to roll up their sleeves and do a bit of research, alter their shopping habits a bit and spend a little more time in the store can save big on each trip to the grocery store. If you're tired of spending hundreds of dollars at the grocery store each time you go, then keep reading to find out how you can save significant sums when buying the foods you love. It should go without saying that preparing your meal plan in advance makes shopping for groceries much easier. Not only does it make the process more efficient, it also makes it more affordable. When anybody wanders into a grocery store without a clear plan for the week (or month), they're bound to buy items and ingredients that might not be necessary. When you have created a menu plan prior, you'll be better-equipped to stick to the script and only buy what you need. To get started, check out pocketchangegourmet.com for comprehensive, budget friendly monthly menu plans. Even when you have a pre-planned grocery list for meal preparation, you'll inevitably find items in the store that you didn't consider – but nevertheless need. However, this is different from impulse grocery shopping, which commonly happens when people go to the grocery store while hungry. Simply put, everything looks good when you're hungry. This can not only convince you to buy more food than you need, but it will also lure you into buying more pre-packaged meals instead of investing in raw ingredients that are much cheaper. Many grocery stores offer online-only deals, as well as all of their current coupon offerings. It is incredible how many people never look online at the store's website before shopping, which leads to overpaying for a variety of common goods. Some major grocery chains like Kroger offer a Free Friday Download, which allows anybody to sign up and receive free items once per week. In addition to specials such as these, there are hundreds of other coupons that can be found via grocery websites, local newspapers and more. Competitive coupon clippers have even found ways to fill up their shopping carts with goods without paying a single cent! Spending a bit of extra time shopping for bargains can save a huge amount when shopping for food. Last but not least, grocery stores are designed to earn a premium on select products. In many cases, name-brand products are considerably more expensive than their generic alternatives – with little to no quality difference. While some generic items may not be suitable replacements, consider going generic for raw ingredients and a variety of food-stuffs that shoppers consistently rank as quality in online reviews. Many shoppers report saving 20-30% on generic items when compared to their name-brand alternatives. Grocery shopping is filled with distractions, psychological tricks and frustrations. All of these elements can make it difficult to get the best deals, but knowing what to expect can help. Be sure to have a meal plan and grocery list beforehand, buy generic items where possible, take full advantage of coupons and never shop while hungry. If you can follow these tips, then you can bring those grocery bills down substantially. There are many home brand items that taste just the same as name brand items and we need to remember and remind some people that home brand items are made by name brand companies.